Pillow Pets have been one of the biggest crazes amongst kids. 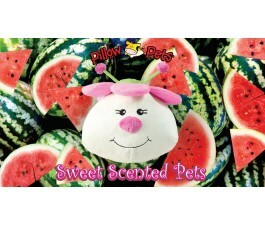 These cute pets unstrap to become soft, comfy pillows for naptime, travel, or playtime. Kids love having their own pillow in the car or at Grandma's house and Pillow Pets give them a cuddly friend and pillow all wrapped in to one bundle. Pillow Pets make great gifts for your child's playmates, too. It's a Pillow...It's a Pet...It's Pillow Pets! Have your kids reached that age where formerly beloved stuffed animals have suddenly turned into embarrassing "baby" toys? Pillow Pets, which combine the fuzzy features of various animals with the functionality of a pillow, may offer a solution. Boys are especially prone to growing out of stuffed animals early, but they are more likely to accept Pillow Pets, because they can easily be dismissed as just a pillow. Meanwhile, boys are free to secretly cuddle with a fuzzy friend without worrying about being called a baby or a girl. The original version of this toy could be transformed from pillow to pet by folding the pillow in half and using Velcro straps to bind it into an animal shape. Over 100 types of pillows have been sold worldwide since they were first invented in 2003, including just about every animal imaginable, plus branded versions for popular kids characters like Mickey and Minnie, Thomas the Tank Engine, SpongeBob, and of course many Disney characters. The Pillow Pets Company has been very active in charity work, often using a portion of their sales revenue to support various charitable causes, such as relief efforts for Japan's 2011 Tsunami. Private groups also often collect the cuddly pillows for charitable reasons, such as giving them to patients in children's hospitals. On long trips, these fun pillows can be really helpful--kids get a convenient pillow for napping in cars or planes that doubles as a toy when they wake up! Get yours now from Mr Toys.